He's staying because of his family. He's not going to move them all back to Japan. It's either WWE or AEW. AEW is still a possibility no matter what Meltzer says. The guy is wrong 85% of the time. He doesn't care, it's the last few years of his career and he wants to make as much money as he can with as little effort required. I can't blame him, if his body is beat up it makes sense. Last edited by Ace; 04-14-2019 at 07:08 PM. It may be just a job to him, but I do not think he's happy with his current position. I mean, he's a jobber in a trashy thrown together Tag Team that just loses all the time. 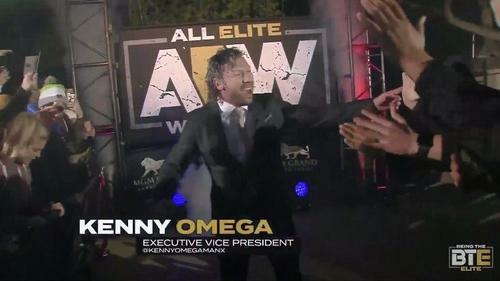 And if it was just money, the guys running AEW could probably easily pay him a lot more. Not so sure if he would be a draw, though. Outside of his debut, Shinsuke has been a major disappointment to me. Even when he has a "good" match, we have to grade it on a curve and say, "well, it's good for Shin these days". If we really want to see the best of Nakamura, we have to replay the Zayn match a bunch of times or head over to NJPW World. Given the level of effort/output from Nakamura over the past few years, he's not motivated from an artistic standpoint, it's purely financial. Just come in, do a couple of spots (especially if he's tagging with Rusev, who can carry the load) and get those big bucks. Didn't we know, or I suppose hear/read, that this was his career twilight wind down gig? Not really surprising he stayed if that was the case. Similar to Styles he's probably thinking about the long term post in-right aspect of signing. more surfing in Florida time, that's all he cares about. I really hope they have something decent in the future for Nakamura and Rusev too. Both are wasted talent that I'd rather see pushed than a lot of other guys.